This pretty, fresh salad is perfect for summer get-togethers. Use a melon baller (or rounded measuring spoon) to scoop out the watermelon, rockmelon and honeydew melon. 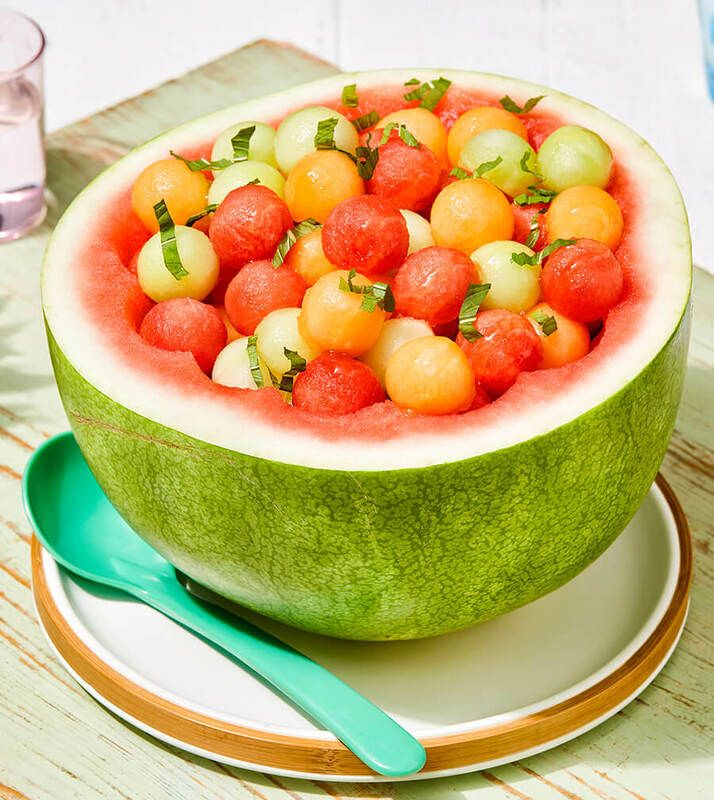 Place melon balls in the scooped-out watermelon half. Drizzle melon balls with honey and gently sprinkle with fresh mint and serve.